Editor's Note: An earlier version of this story understated the number of visitors to Kijiji each month and suggested dealers list on the site for free. Kijiji gets five million visitors per month and dealers pay for listings. The internet, preferred entry point for the vast majority of vehicle buyers, has turned third-party auto-shopping sites into a fiercely competitive arena. In the United States, CarGurus.com has eclipsed AutoTrader.com to become the number-one site in terms of traffic, with 23 million unique visitors a month. CEO Langley Steinert, co-founder of online travel agent TripAdvisor, has similar ambitions for Canada, where the Canadian version has grown to 800,000 unique monthly visitors since going live in 2015. AutoTrader Canada (not affiliated with the U.S. entity) would not provide comparable site metrics, which it considers proprietary. A spokesman said via email it is Canada’s largest automotive market-place, with more than 400,000 live listings and growing. Kijiji, a unit of eBay International, touts itself as the most visited Canadian auto site, with five million visitors a month. Consumers have embraced auto-sales search engines and dealers are recognizing their importance, many listing on multiple sites. That puts more pressure on the sites to differentiate themselves. For CarGurus that difference is the best search results are ordered, putting the best deals from the highest-rated dealers at the top, Steinert said in an interview. Each listing includes a rating of whether the price is a great, good, fair or poor deal. 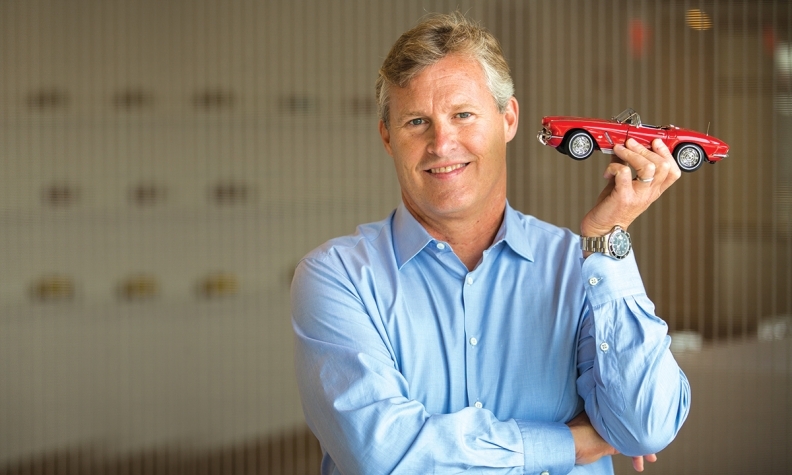 “We look at every car in our search index and we do an analysis of a bunch of different variables and come up with our estimation of our car’s market value and compare that to what the dealer’s charging,” said Steinert, who founded CarGurus in 2006. But a bargain price isn’t enough. As with AutoTrader, dealers pay a premium for CarGurus’ service to see listings appear at the top of the search results. But Steinert says they still must meet the site’s rating criteria to be featured at the top. CarGurus offers a free listing service for dealers but they do not get direct access to leads. Steinert said dealers’ initial reaction to CarGurus’ listing format was “quite negative.” They didn’t like the site assessing the value of their inventory or having customers review them. They were irked by other features, too, such as showing how long a vehicle has been on the lot and how many price drops it’s had, as well as condition reports, including accidents. But they’ve largely come around because the site is sending them lots of customers, said Steinert. “The second most important factor is that of those leads that we send them, a very high percentage, close to 10 per cent, buy the car,” he said. CarGurus’ innovations are bound to trigger responses from its competitors, said Cole Reiken, vice-president of digital and product development at Canadian Black Book. Its site averages 400,000 unique visits monthly, below others but offering a “different value proposition” than pure list-ing sites, such as tools to determine trade-in value. Still, Reiken said, “we are in the process of significantly enhancing our digital properties,” but offered no details. The AutoTrader Canada spokesman said its site has best-in-class analytics that inform continued development of innovative new tools, including AutoTrader IQ, which includes a price analysis, alerts if the asking price goes down and multi-car comparison tools.